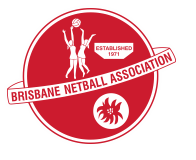 As a player, official, or parent/guardian of a player or official, you agree to abide by the Club’s Constitution and Club policies, (including code of conduct policies) and policies of netball governing associations (Brisbane Netball Association, Netball Queensland, and Netball Australia). You also agree to participate in team selection activities and respect the team selection decisions that are made by the Selection Sub-Committee. No player will be selected into a team unless all fees are paid. No refunds are available after a player has taken the court for the first time. An administrative fee of $30 will be deducted from any player that withdraws without taking the court. A late fee of $30 is payable for those that have not paid in full by the due date. A $20 discount applies to the second and third family member’s registration fees who play for Kedron Lions Netball Club Inc. A family constitutes parents and their under 18 children only. We consider that children over 17 are non-dependents for this purpose. If you are able to secure a Get in the Game voucher, we will put the value of the voucher towards the fees. An amount of $100 will be payable by the player, but no family discounts apply. All new junior players (U18) must provide a copy of their birth certificate by the end of the registration period. Scanned copies can be submitted by email to rego.klnetball@gmail.com. Age groups are based on ages as at 1 January 2018. Children born 2008 and 2009 and 2010 will be accepted, but Brisbane Netball Association hosts the NetSet program for children born 2011 to 2013. All Under 10’s will be participating in the NetSetGo program that has no recorded ladders or finals. Training times will be determined by each team, dependent upon needs. Facilities are a premium as the competition grows so flexibility is required. Players are expected to attend all training sessions arranged by the coach. If a player is unable to attend a session or their game, it is expected that the player (or parent/guardian) will, as a matter of courtesy, contact the coach to advise non-attendance. You agree to assist in raffle and canteen duties where applicable. Canteen and raffle duties are allocated by the BNA. Kedron Lions employs a roster system to assign duties fairly throughout the Club. Each coach and/or Manager will be informed of the duties allocated to the team. It is the responsibility of all team members (or parents) to ensure these duties are completed. Please note financial and other sanctions are imposed by the BNA when duties are not completed. The club reserves the right pass these costs onto the teams that do not assist. Canteen duty cannot be completed by persons under the age of 16 due to safety regulations. All female players must wear our dress uniform. Uniforms must be long enough to cover the length of the bike pants as a fine from the BNA maybe applicable in the form of lost team points or financial. Bike pants must be royal blue. Collection of uniforms for the Winter Season will be advised shortly. See our website for full list of Kedron Lions Merchandising.